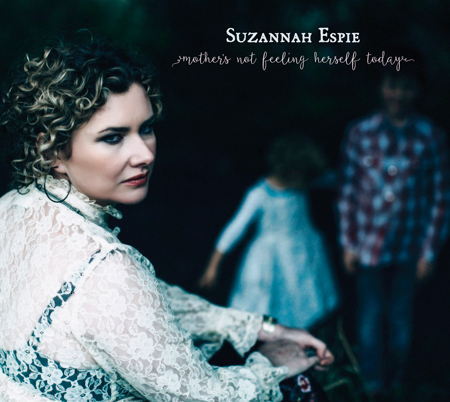 Suzannah Espie’s sound is an intoxicating mix of country, folk, blues and soul. A gentle, sweet trill that can move grown men to tears one moment, with an Aretha-esque hellcat belt that can raise the roof the next. Her new LP 'Mother's Not Feeling Herself Today' is an anticipated follow up to her breakthrough 2012 record ‘Sea of Lights’, which won Rhythms Magazine ‘Album of The Year’, was picked in The Age EGs Top 15 Albums of 2012, and placed Espie firmly on the industry’s must watch list. Eight years on, Espie decided to write about this fracture, and the album seeks to make up for something lost, to voice her truth about motherhood. It was recorded at Enclave Facility in Fawkner with engineer Jeff Lang at the helm, with Espie’s ever loyal band ‘The Last Word’ featuring Andrew Ogburn, Sean McMahon, Chris Rogers and Dave Folley. Espie’s first band GIT released five critically acclaimed albums, performing extensively throughout Australia and the US. It was the release of her third solo album ‘Sea Of Lights’ that saw her career take a dramatic upward trajectory. ‘Sea Of Lights’ is a triumph of heavenly harmonied, spine-tingling folk country. Further to her gongs for the album in The Age EG’s Top 15 Albums of 2012, and ‘Album of the Year’ in Rhythms Magazine, Espie’s also achieved Rhythms ‘Gig of The Year’ in 2012. In 2013 she was selected as the Port Fairy Folk Festival Maton Artist of the Year. ‘Mothers Not Feeling Herself Today’ is out 4 Sep 2015 followed by a national tour in Oct/Nov.